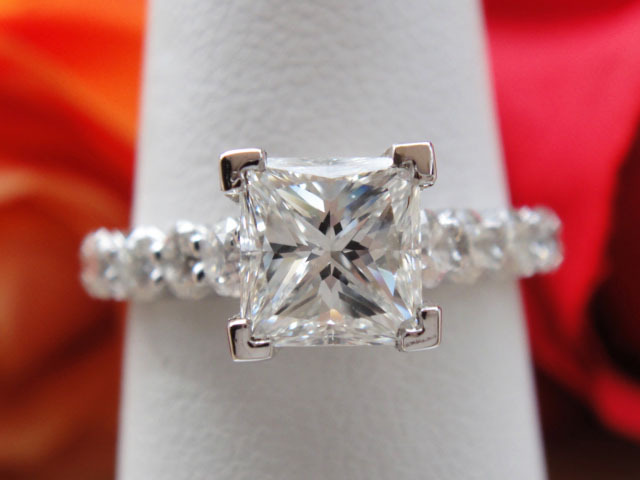 This is a gorgeous 1.61CT Radiant Diamond Engagement Ring. 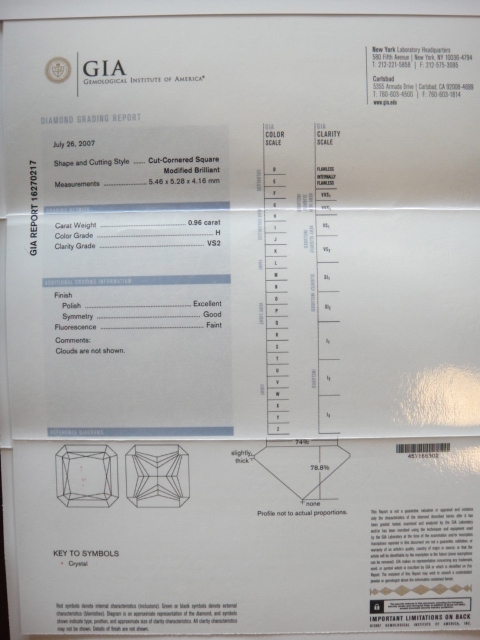 The center diamond is a GIA Lab certified 0.96ct Radiant Cut diamond. This diamond has excellent polish with eye-clean VS-2 clarity. This GIA certified diamond has good symmetry with near-colorless H color grade. The Radiant Center diamond was set on a 14kt White Gold setting with 12 Round Full cut diamonds. 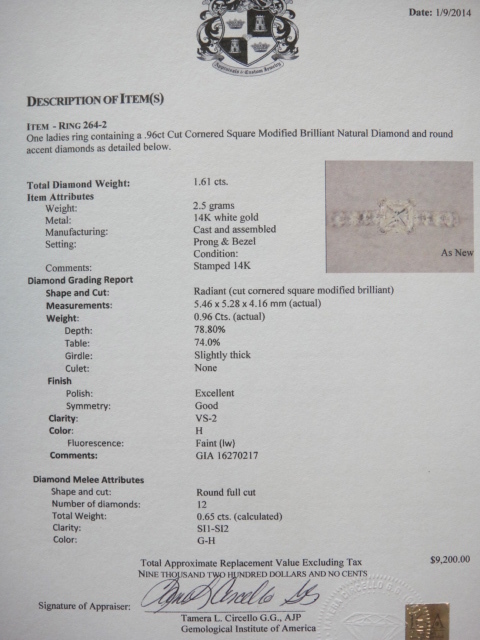 These diamonds add 0.65cts to the engagement ring. 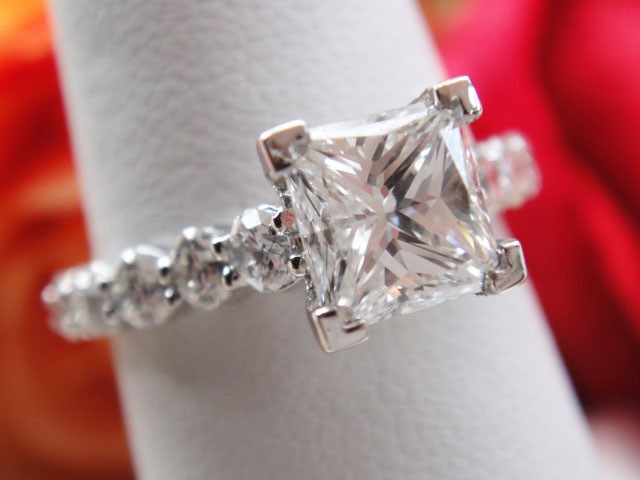 This is a beautiful diamond engagement ring. 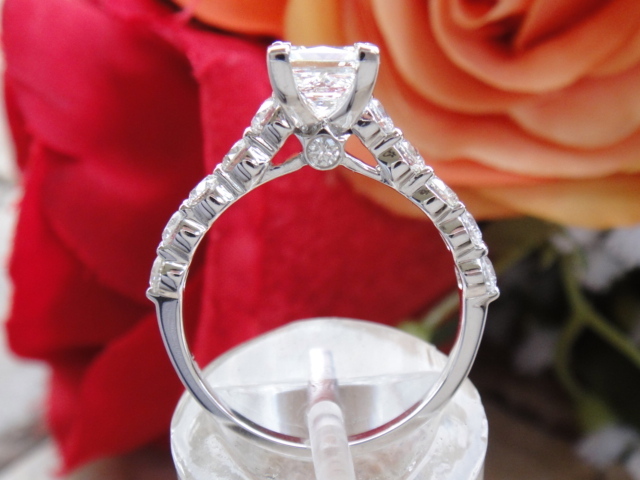 The center diamond just sparkles. 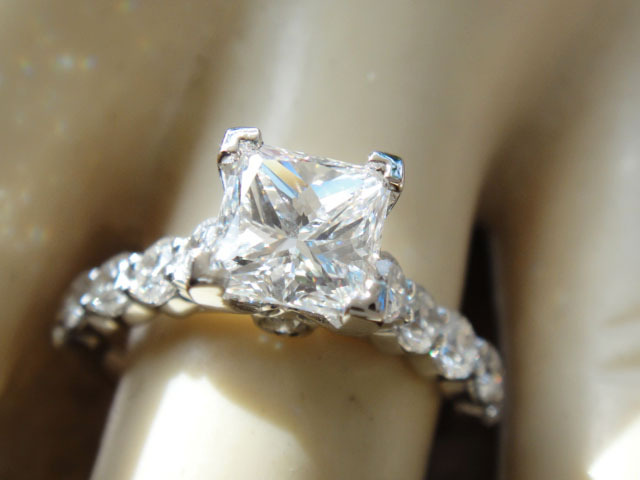 This ring can be re-sized at no additional charge. Pictures do not give this ring any justice. This ring was just appraised by a GIA certified gemologist at an appraised value of $9,200.